It’s been four years since Des Moines, Iowa mob Stone Sour gave us a new album to listen to but all that changes this year with the release of ‘Audio Secrecy’. Was it worth the wait? You can bet your hat it was! Opening with a slow melodic title track the album then throws you into a world of change as first real track ‘Mission Statement’ (which was released as a teaser way back in June) kicks in with powerful guitar and drum beats. Everyone who was at the Download Festival and other European festivals will have heard the next two ferocious tracks ‘Digital’ and ‘Say You’ll Haunt Me’ long before release. After these three brutal tracks though, the next song is a bit of a surprise, it’s an extremely slow melodic offering with front man Corey Taylor showing the softer side of his voice and in general the softer more acoustic side of the band which is shown in earlier albums with tracks like ‘Bother’. After four years on hiatus this entire band has evolved and grown up. Jim Root and Josh Rand are playing with a lot more flair and style while still holding their general sound extremely well. Drummer Ray Mahorga seems to be doing so much more than just keeping a beat now and is one of the backbones to basically every song with Shawn Economaki now seeming to hold the rhythm for every song while Corey Taylor just belts out perfect verse after verse. 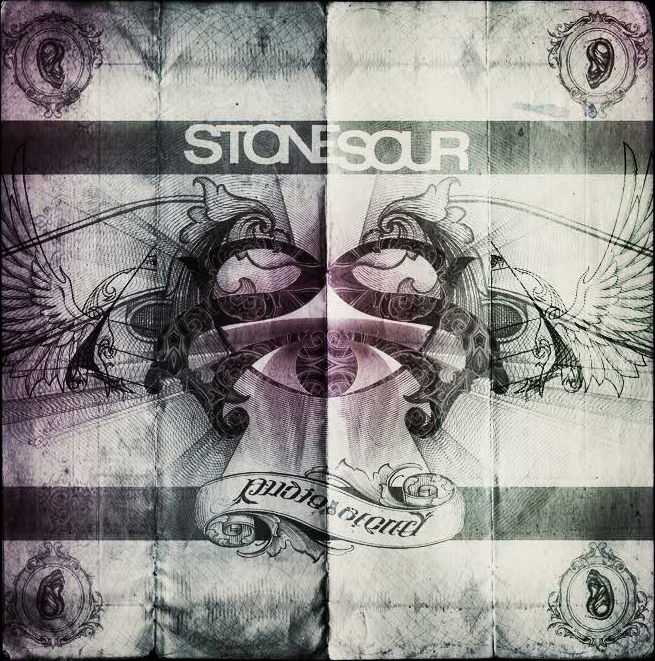 It’s been four years in the making but you can tell that Stone Sour have always been a cohesive unit in this album, which seems very much like a love story. With Corey singing about relationships dying and the miracles of getting back together a lot. My only complaint about the album is that there’s nothing I can really pull from it that’s going to dominate the dominance of tracks from previous albums like ‘30/30-150’. For me anyway, tracks like that will always be what Stone Sour is. It’s a great album just not with anything that stands out for the live arena anyway! If your either able to go to an Uproar tour or the upcoming Avenged Sevenfold/Stone Sour headline tour, I would strongly suggest it! Best review i’ve seen of this album. Nicely done, completely agree.